With the millions of VW Beetles sold in this country and the world, they’re still pretty ubiquitous. So it’s hard to find what you might call an unusual version of the Beetle. 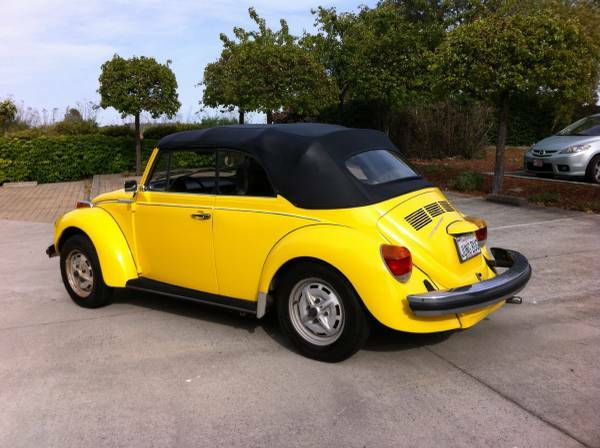 For people north of the Mexican border, this is any Beetle built after 1979. The latest versions even had fuel injection and a catalytic converter, which must be pretty similar to final Canadian/US spec. Mexican built Beetles have an interesting mixture of features compared to the standard Canadian/US Beetles, and late in their production run lost things such as the flow-through ventilation system and any chrome fittings. 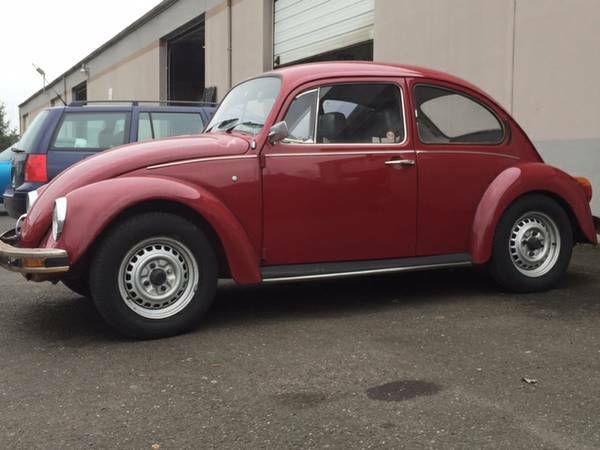 Check out this this 1971 VW Beetle for sale for $3600 in Vancouver, WA. Depending on your perspective, hoards of old cars are either sad or interesting. But they’re also kind of like a car accident – you can’t look away. And here at RustyButTrusty HQ, it’s hard to look away from hoards containing small, sporty, or underdog cars, particularly imported ones. So let’s start off with a selection from a hoard in eastern West Virginia (wait, isn’t that just Virginia?) 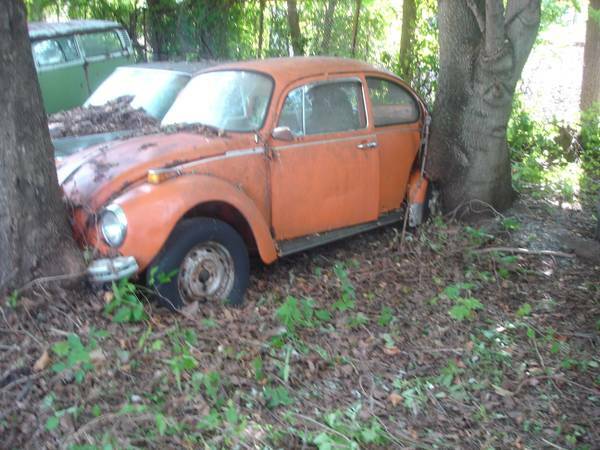 – this 1970s VW Treehuggers Edition Beetle, for sale in Ranson, WV. And yes, there’s no price, but you know the saying – if you have to ask, you can’t afford it. Thanks to reader Dave for finding this listing.